Posted September 15, 2016 | Category: How To, Replay Music. Want to record from Pandora and listen to your favorite music anywhere, anytime? 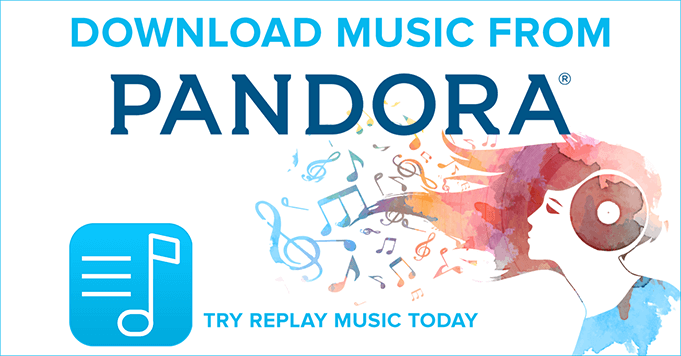 Pandora is a super popular, free online service that gives you access to radio stations and collections from all of the artists you love to listen to. Unfortunately for music lovers, Pandora will never let you download music to enjoy on any device. But, with Replay Music software, you can easily save music from Pandora and listen to your favorite tracks anywhere. Open up Replay Music on your computer. Then, select the big “Record” button. Launch Pandora on your browser online, and open up the album or playlist you want to download. Replay Music will automatically start to record from Pandora, the second your music starts to play. And, that’s it! The software even automatically tags and titles your new song files, so they’re ready to import into iTunes or any other music library you like. Replay Music is the ultimate piece of software for any music lover and collector. Get the program to record all the music from Pandora (and other online streaming services) that your collection can handle — 100% legally!